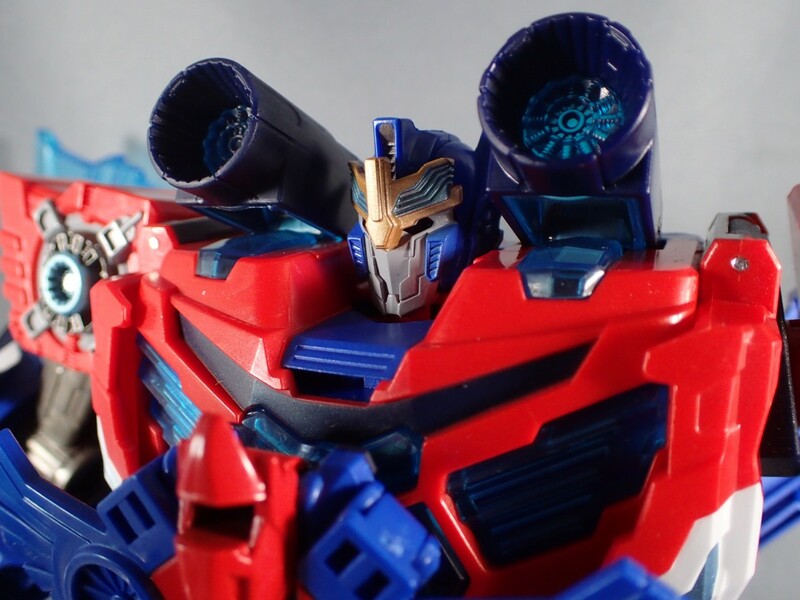 Fellow Seibertronian primalxconvoy got his hands on Takara Transformers TAV 50 Hyper Surge Prime and wrote a quick review for us to highlight some points that may not be apparent at first glance. If anyone is interested in this toy, this is a great read to be aware of some problems in order to set your expectations, since this is intended for kids afterall. The short review is interspersed with relevant images from alfes's gallery. - No Autobot symbols in lorry mode (I used Repros for mine). - No upper arm swivel, which is strange as his upper thighs do. This means that his posability is limited. 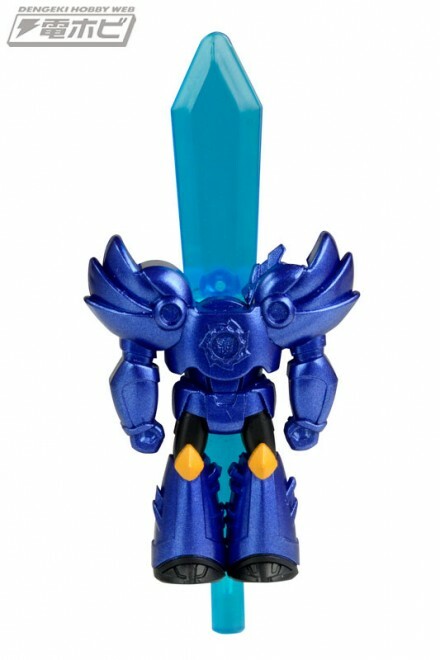 - The regular head swivels a bit, but the super mode visor DOES NOT. This means that he cannot look around in super mode. - The arms, although engineered to have tabs, don't tab together in Alt mode very well. 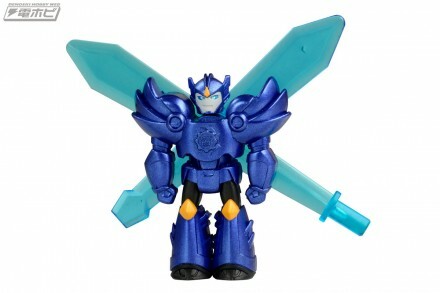 - the clear sword blade and hilt are detachable, and feature a special peg which fits into only this prime's hands. Not sure why. 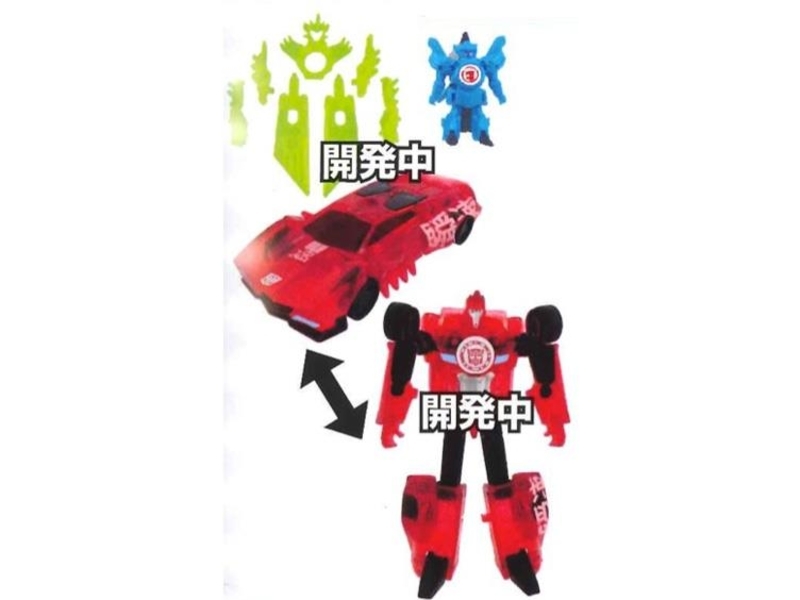 - No painted wheels, which is odd for Takara. 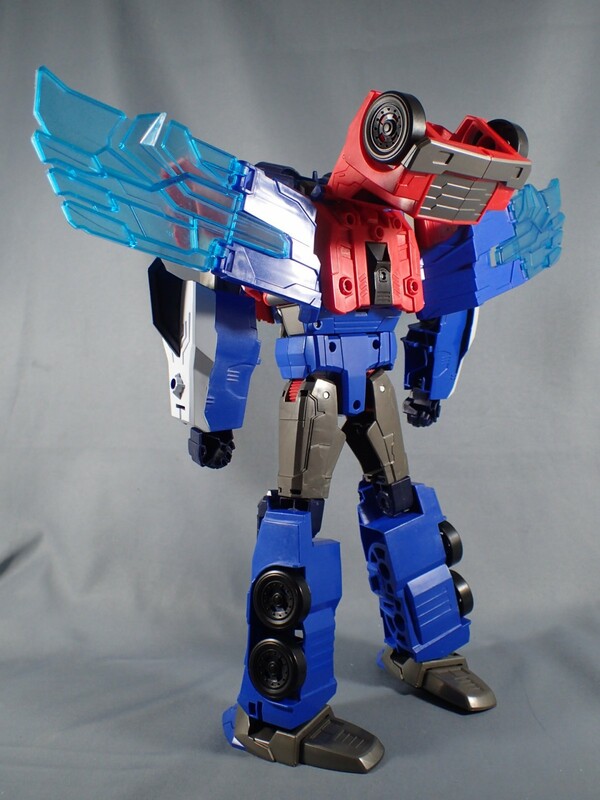 - The molded Autobot symbol on the eagle is both unpainted and obscured by the eagle head in super mode, meaning that Optimus has no clear faction symbol on display while in this mode. - The cab comes unattached in the box, and simply hangs off the attached area. It's tempting to want to pull it down further, causing it to come off. - the same for the wings, as they appear to fold, but don't. 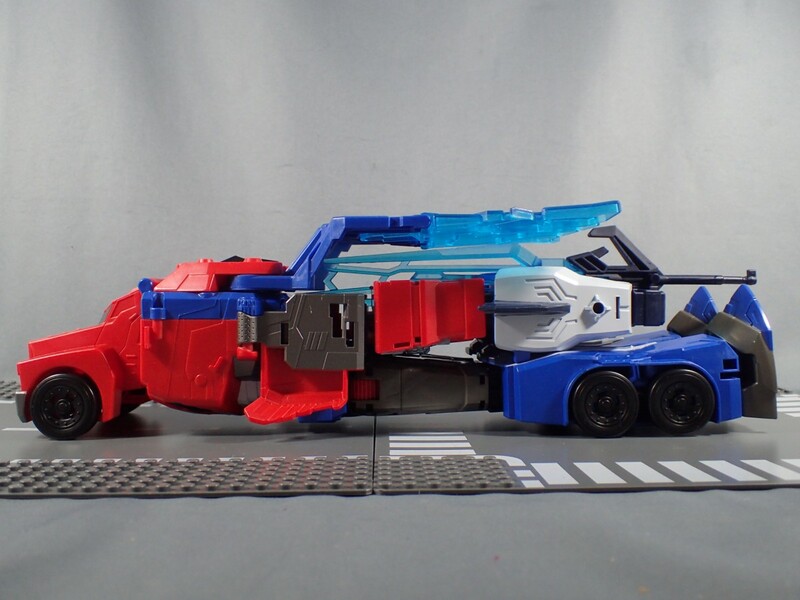 In conclusion, the toy is perhaps more durable and easier to transform that the previous iteration of super mode Prime, but it's got less details and paint apps. Dengeki Hobby has updated their pre-orders with some new stock images of TAV-53 Hyper Surge Sideswipe and TAV-54 Scorponok! The new images show off the newly painted figures in all their glory. 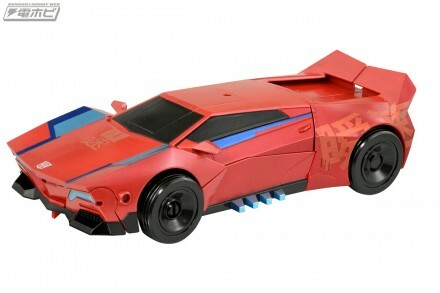 Sideswipe comes with the minicon Windstrike as well. Check out the images below and let us know what you think in the comments section. Love the paint job on Scorponok. 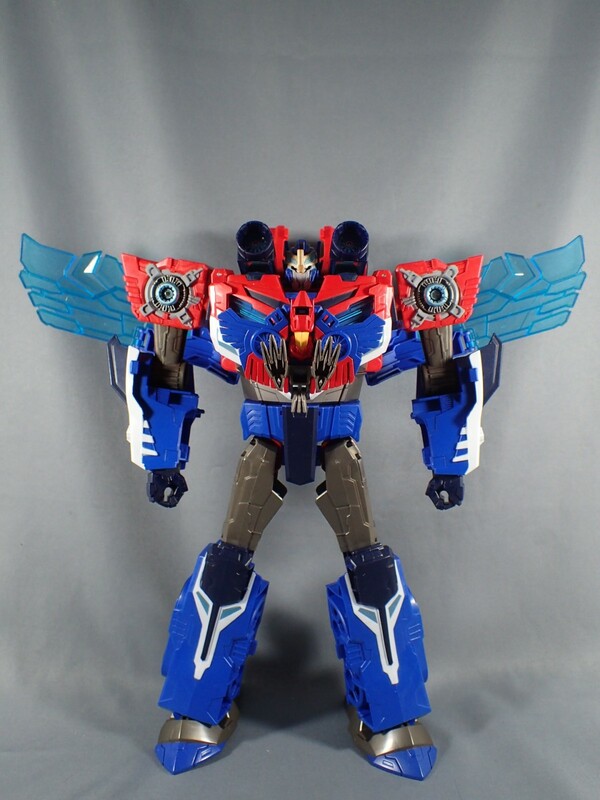 Of course, being from Takara that's pretty much a gven. Orders are up for these guys at the usual Japanese retailers. Shame the exchange rate is no longer in our favor and I've got some $300 into August already. 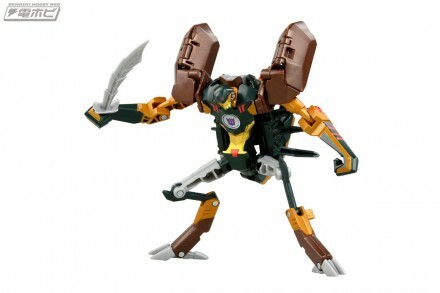 I'm ordering Scorponok off HLJ so I can cancel later if need be. 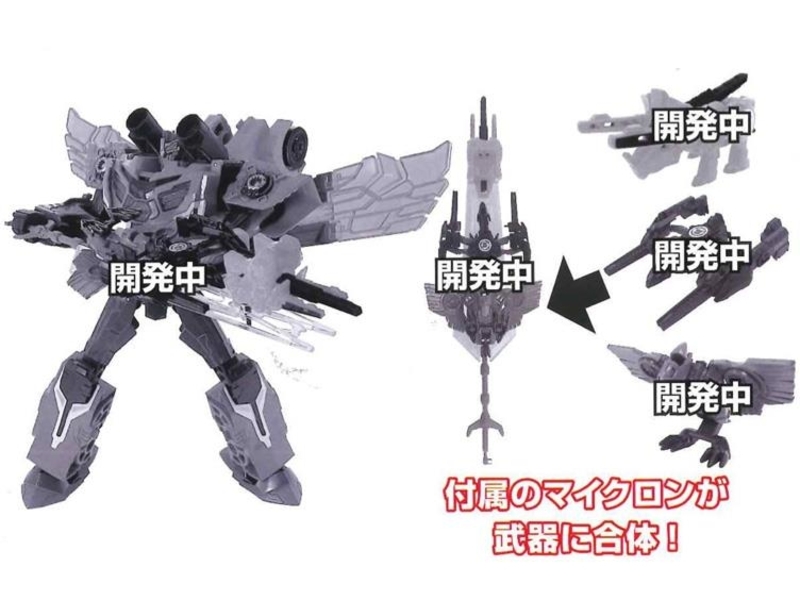 BTW, bigger pictures of Scorponok on HLJ. 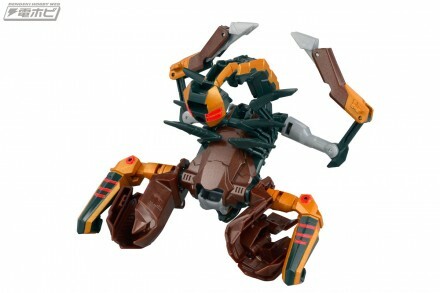 Though closer to the show deco than Hasbro's, Scorponok's black should be more green. 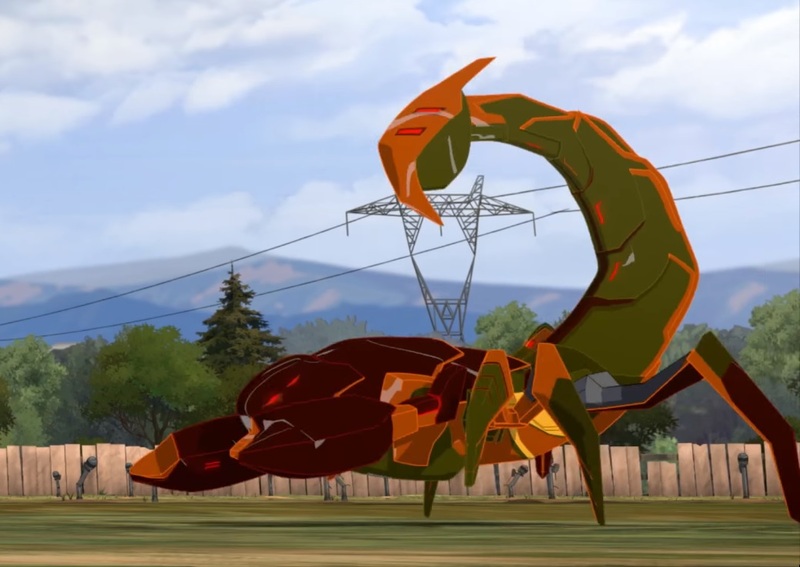 I do like that Scorponok. The browns and yellows are interesting colors for transformers and finally a figure where chicken legs actually work awesomely in bot mode. 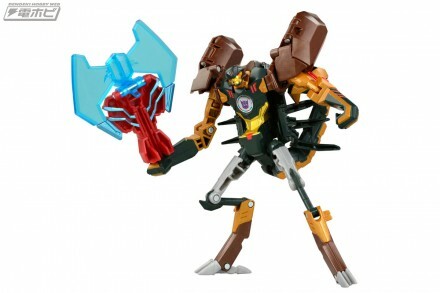 Sabrblade wrote: Though closer to the show deco than Hasbro's, Scorponok's black should be more green. Take a closer look, the figure is definitely green, not black. I placed an order for TAV-33 because a good deal came up and in anticipation I was searching for reviews demonstarting his new features. But there are none in English. This was the best I could find and I wish it were longer. william-james88 wrote: I placed an order for TAV-33 because a good deal came up and in anticipation I was searching for reviews demonstarting his new features. But there are none in English. This was the best I could find and I wish it were longer. I'll get to it, but regular giant Prime left a real bad taste in my mouth. 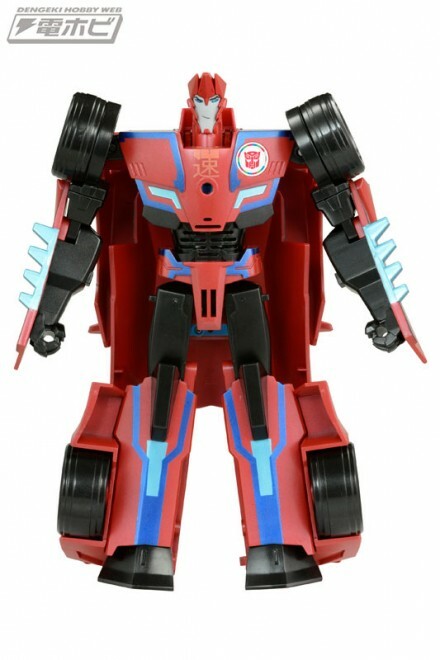 Via another of our site sponsors, BigBadToyStore, we have a look at some more upcoming Takara Tomy Transformers Adventure figures, as we breach number 60 in the line with TAV 58 Sideswipe with Windstrike, TAV 59 Ratchet, TAV 60 Bisk, TAV 61 God Optimus Prime (Power Surge for Hasbro, as seen here), and TAV 62 being another mystery character, just like TAV 57. Check out the images mirrored below! Now THAT is a Ratchet. So getting him. 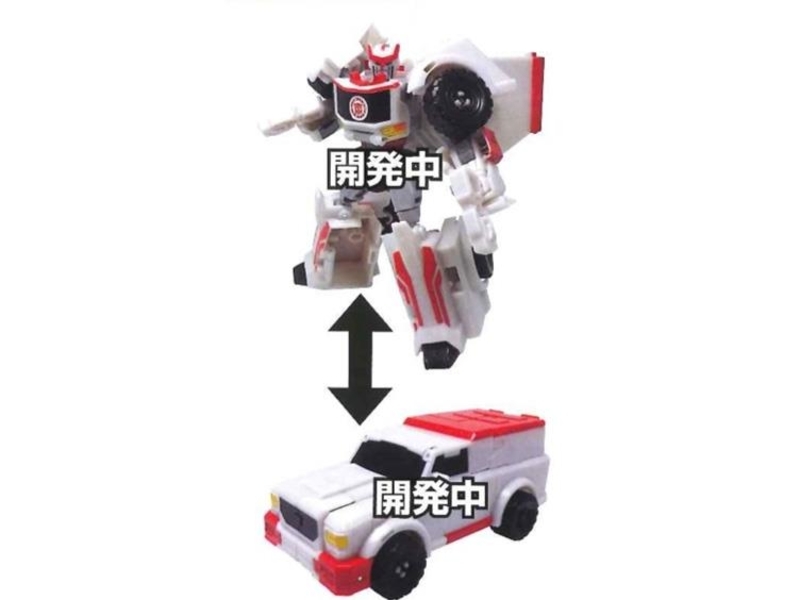 That Ratchet is far from being a decent improvement over the Hasbro one. 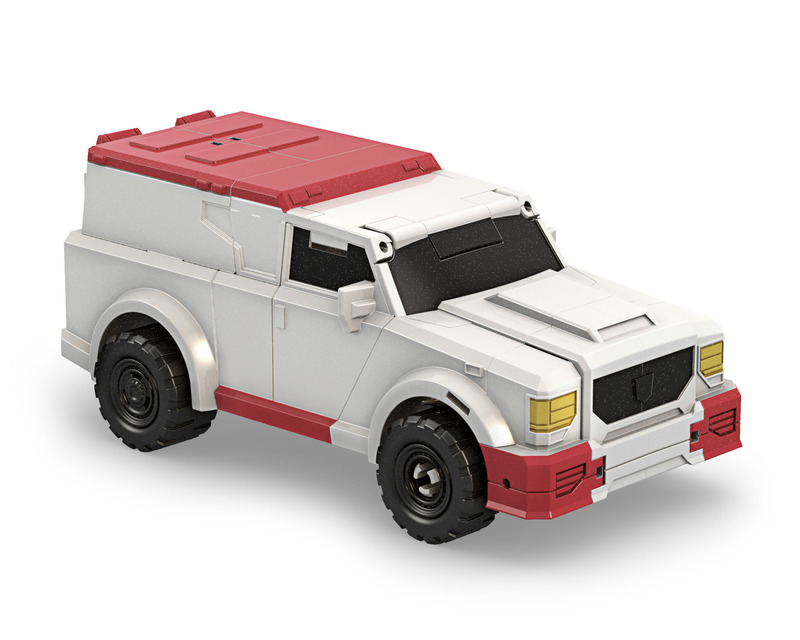 The Alt modes are just as bland, here's the Hasbro one. 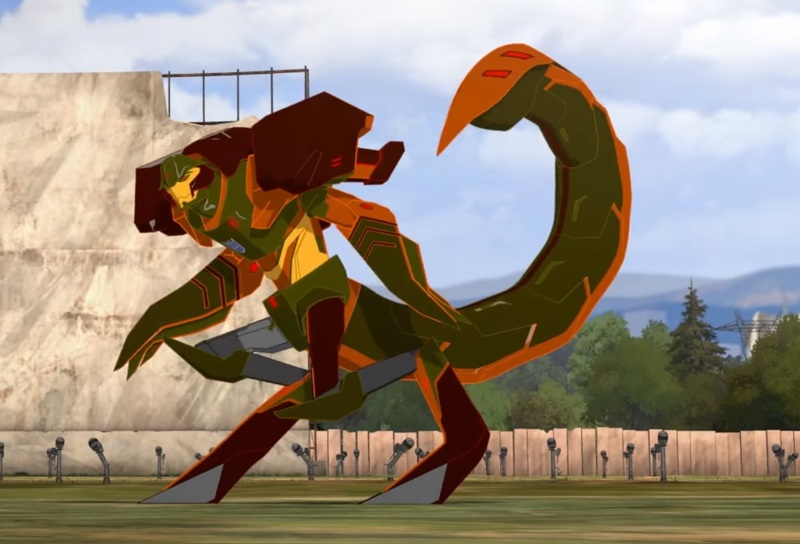 Is it just me or does Birk look a lot like the same engineering as Prime Vehicon? Looks very similar except the forearms. 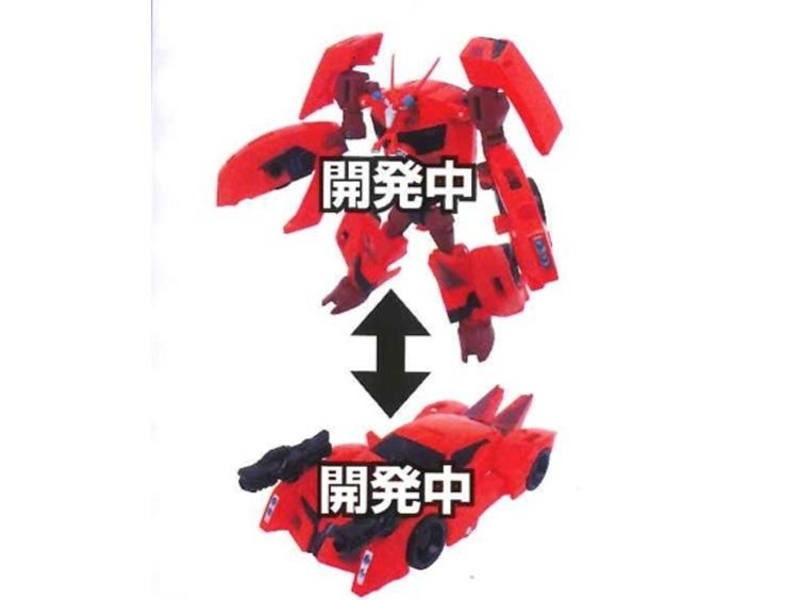 Wait, is Takara doing two releases of the Power Surge OP mold? 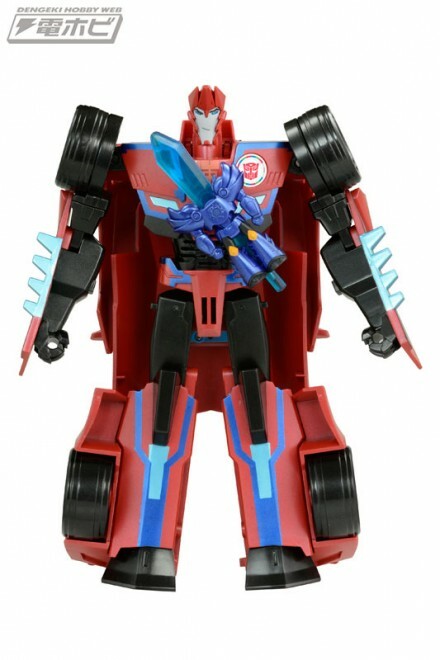 Sabrblade wrote: Wait, is Takara doing two releases of the Power Surge OP mold? Yes. With different accessories (and maybe deco). TAV 61 and TAV 50 are 2 different releases of th same mold. I may go edit that in the news post to make it more clear. I was going to say, that's a "level-up" from the original and nothing like the Hasbro version. Hard to tell if the image is grayscale or painted that way. 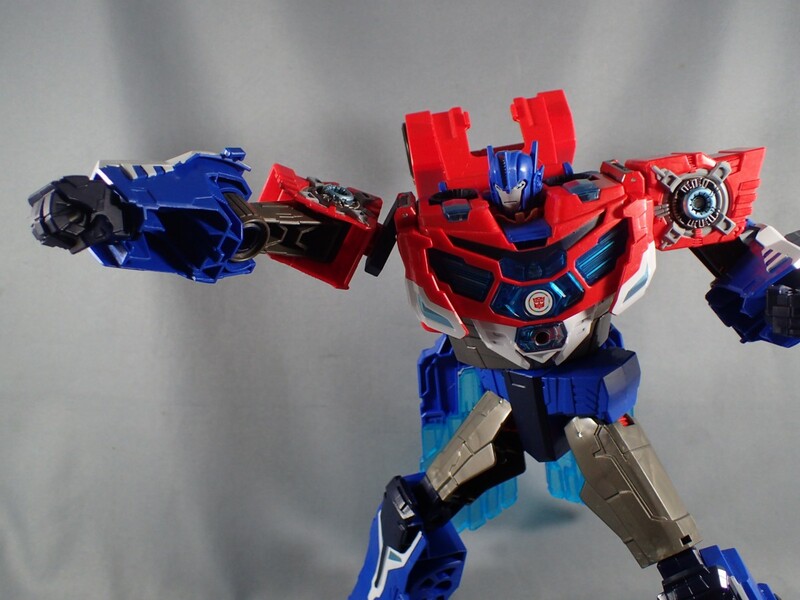 TAV 50 Hyper Surge Optimus has been out for a little while now and yet hasn't had much coverage. This is probably due to him being more for a younger audience and even more because the Hasbro version was out at the same time and doesn't require importing for the west. 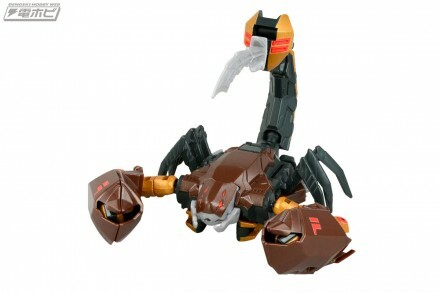 However, we were able to find a fun stop motion video of this toy from youheidx. 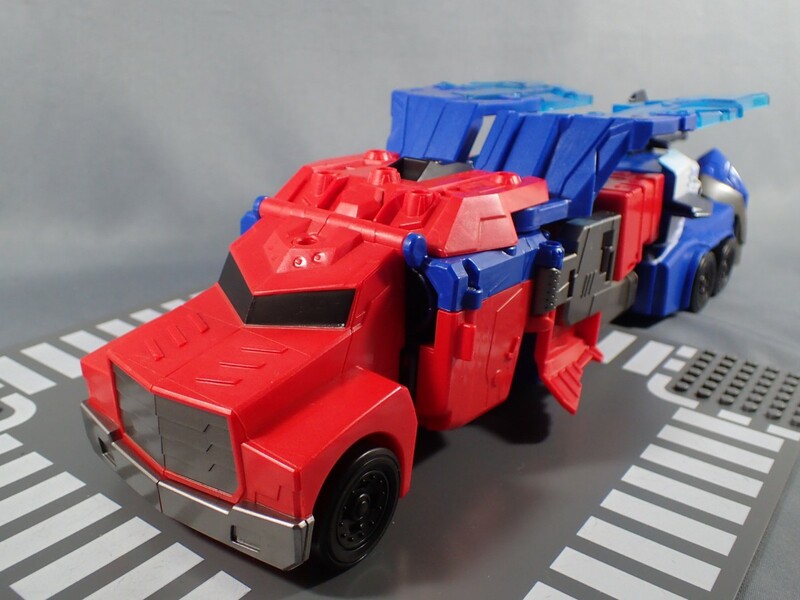 This video shows the play-ability aspect of this toy in its Takara premium deco. Enjoy! 5,118 pages were recently viewed by 724 unique visitors. This page was viewed 1 times on Monday, April 22nd 2019 9:58pm CDT. © 2019 Seibertron, Inc. DBA Seibertron.com. All Rights Reserved. Established June 2000. Seibertron.com is owned by Ryan Yzquierdo.